The Caulerpa Racemosa Cylindracea macro algae species is another very fast growing and nice looking green macro algae, which will give your tank a more natural look and for Seahorses additional holdfast. 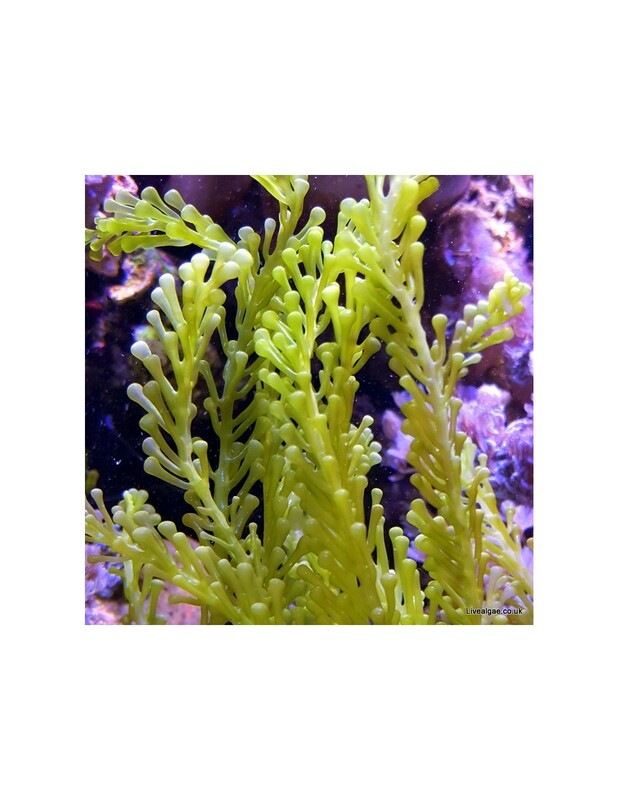 As well this macro algae is a great choice to reduce the Nitrate and Phosphate level in the tank, as it can be kept in the sump and in the tank display. These Caulerpa macro algae love the light, as more as you provide as faster it will grow. How would you say that macro algae rated in terms of hardiness compared to prolifera? Hi Mark and Thank you for your question. Have in mind it that this alga grows almost double as fast as Caulerpa Prolifera. But it is easy to see when something is wrong as in this case the whole algae collapse and turns mushy, still quite easy to remove when this happened. Talking about going sexual and polluting the water we had never a problem with that. Please bear in mind that any use of chemical Nitrate or Phosphate remover would harm this alga very easy. That's good to know . As for chemical no3/po4 reduction starving the algae there shouldn't be an issue there as I just run a fuge and efficient skimmer as sole nutrient export . Are refugiums consisting of mixed caulerpa species viable ? Yes that normally works very well, as you might mix it with medium fast growers and fast growing macro algae species. We just received a few days ago a very nice feedback from a customer about our fast-growing macro algae pack which has 4 different species in it btw. This helped him very well in lowering the Nitrate & Phosphate levels. The size of your sump will provide a good size for those three algae species. I would recommend adding a divider between the Caulerpa Racemosa and the other two Caulerpa species though, as it grows faster and might overgrow them, taking the light. The Caulerpa Racemosa can eventually attach itself to the glass but, but needs to stay close to it for a while. The Caulerpa Taxifolia and Prolifera won't do this normally, so for them I would recommend just to add a few small pieces of rock, so they can attach and stay at the bottom of your sump., which isn't necessary for the Caulerpa Racemosa, this can just stay in your sump, even floating would be alright as long as it gets enough light. Regards your light I wonder if you have thought about to change this in the future, as you should be good even with a more energy efficient LED Light? For example with a 300W LED Light ( maybe using the brand "Mars Hydro" Full Spectrum ) it should provide enough light too, while effectively just using 150 watts. Happy with the algae. Thank you for this easy way to get some nice species. 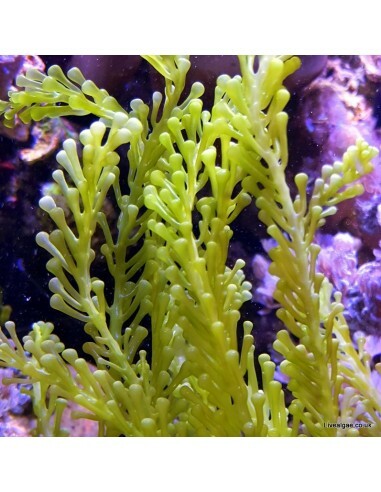 Fab service & good quality macro algae. Recommended. Arrived in the post this morning so thank you Manfred,the wait was worth it, lovely Algae, cant wait too get the others I ordered.\r\nHope every thing is okay with your partner and on the recovery trail. Rapid dispatch, well packaged. So far so good!